I have already book above hotel for my trip to Bangkok. 我好担心。 Can anybody who stay before inform me about this Hotel? 如果真的要15USD， it is too bad. 此行预算并不很多。本来心宜Manhattan Hotel, 但Asia Room reply FULLY BOOK. 想试一试request Asia Rooms change to another hotel ( Higher charges) without charge..
Any good hotel to introduce? 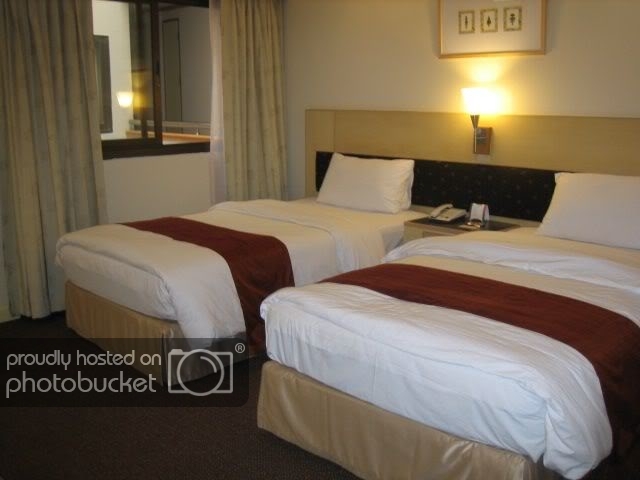 I checked bossotel inn in Asiarooms, it's look great and within my budget. I will try to ask Asiarooms to change it..
那我误会了Swiss Park Hotel 和 Swiss Hotel. Finally, they agree to change my hotel to bossotel ( introduce by sammi, thanks). But, they charge the rate higher by 120THB. Now waiting for their reply on the hotel avaibility.